Imagine waking up on a normal work day and catching the same bus to get on the same train and again forgetting to have your breakfast. As your usual train reaches your usual stop, you get off in the usual way, pushing through the crowd and then you see this..
Nokia takes its message about the Nokia Lumia 800 to the train station, concealing yummy cupcakes in Lumia advertising to promote Nokia's commitment to make every day amazing. This promotion has left many around the world asking for the sweet taste of a new Lumia phone promotion in their own city. 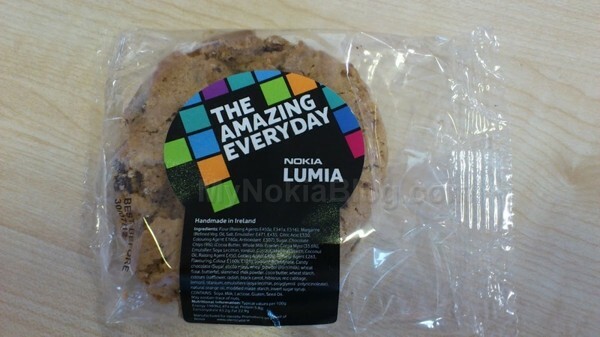 Edit: Nokia Ireland have been seen giving out these Amazing cookies. What's happening in your city?